The key to buying a GPS is to make sure it has a lifetime upgrade package with it. Otherwise, you have to pay for upgrades. If you got a steal, that might make the price jump up in the long run. 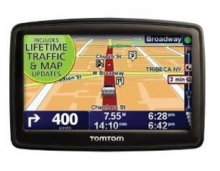 Amazon.com has the TomTom XXL 540TM 5-Inch Widescreen Portable GPS Navigator (Lifetime Traffic & Maps Edition) for only $99.99 with free shipping! This is regularly $199! Today only, Amazon.com has a Magellan RoadMate Widescreen Portable GPS Navigator with Lifetime Maps and Traffic for only $109.99. That’s 52% off the regular price. I’m sold on the lifetime maps and traffic updates!